The New England Patriots won the Super Bowl, but one player missed the celebration. Patriots safety Patrick Chung was not part of the squad that pushed the final minutes of the 13-3 win over the Los Angeles Rams. He earned a fracture, and had to watch the final quarter of the game from the sidelines. Chung had a surgery on his forearm, and now we get to see his scar! Believe it or not, Chung decided to show us his scar and the 23 stitches on it. This was definitely a big surgery. Chung had his forearm smashed between a teammate and Todd Gurley in the third quarter of the Super Bowl. His arm looked scary, but the safety told everyone that the surgery went well. On Monday, Chung revealed the big scar of his surgery, and it looks far from pretty. 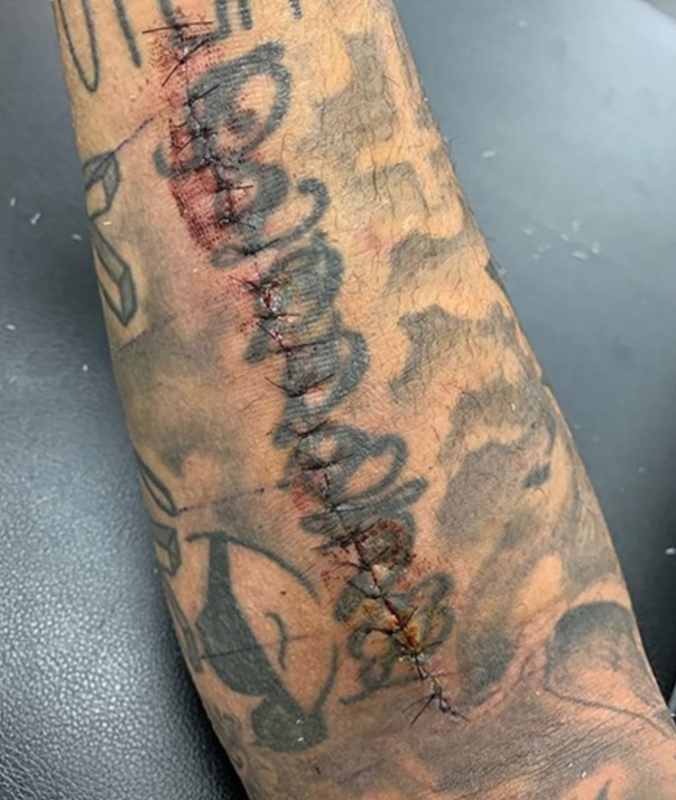 Can you imagine having 23 stitches on your entire forearm? Luckily, he feels great at the moment, and looks forward to a great success next season. The Patriots witnessed the smashing, and they knew it was bad. Patrick Chung will have enough time to recover and get ready for the next Super Bowl run.